GRAND National winning horse trainer Gordon Elliott has told the High Court that he never spoke to the 90 per cent owner of a horse the Criminal Assets Bureau (CAB) claims was purchased using the proceeds of crime. CAB alleges John Boylan (32), aka John Power, of Forest Hill, Rathcoole, Co Dublin, is involved in drug dealing in the Clondalkin area. He disputes the bureau’s claim that he purchased 90 per cent of the horse, named Labaik, through the proceeds of crime. Mr Boylan has brought his own proceedings against CAB claiming losses arising out of an injury the horse sustained at a race in April 2017, contending CAB had a statutory duty to preserve the value of assets it seizes. CAB denies Mr Boylan’s claims. 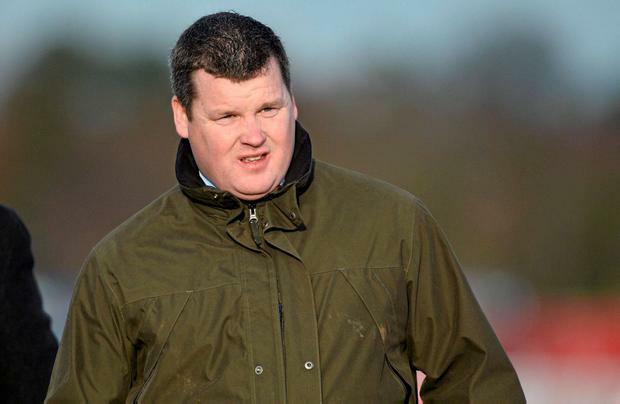 Giving evidence in the High Court today, horse trainer Gordon Elliott, who has no involvement in crime, said he owned 5pc of Labaik, and another 5pc was owned by bloodstock agent Aidan O’Ryan. It is not in dispute that Mr Boylan owns 90pc of the horse, though this share of ownership is registered to a man named Anthony O’Sullivan. 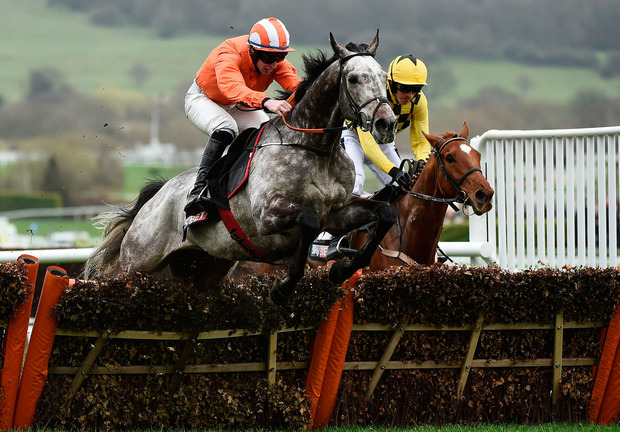 Labaik, which was purchased for €28,000 in April 2016, shocked the racing world when he won the Supreme Novice’s Hurdle at Cheltenham in March 2017 at odds of 25/1. The horse's passport was seized by CAB officers the following month, which meant the horse couldn't travel. It was handed back to Mr Elliot ahead of the Champion Hurdle at Punchestown in April, 2017, where Labaik suffered a career-threatening injury. Mr Elliott agreed with Benedict Ó Floinn SC, for CAB, that the horse was a bit quirky. He said the horse had a “massive engine” and was a “very good horse when he jumped off, but he had a quirk … (he) was a bit of a boyo”. He said he had never spoken to Mr Boylan and that nobody expressed any concern to him about Labaik running in the race. Mr Boylan has told the court that it was a scandalous decision to run the novice horse in the Champion Hurdle, claiming it was like 10-year-olds playing football against 18-year-olds. He said Labaik was now doing light exercises, “nothing too serious”, but he couldn’t guarantee that the horse would ever return to 100pc fitness, “it’s day to day”. If Labaik continued to make progress and won his first race back, he could become very valuable again, Mr Elliott said. Under cross examination from John Fitzgerald SC, for Mr Boylan, Mr Elliott said the horse was worth between €250,000 to €300,000 after the Cheltenham victory but was “not worth very much” now. In his closing submission, Mr Fitzgerald said CAB had a statutory duty to preserve the value of the assets it seizes. He said it was remarkable that CAB operated on the instructions of somebody who owned 5% of the horse - Mr Elliott - without considering the wishes of the person who owned 90pc of the horse. In his closing submission, Mr Ó Floinn said the "gateway" to both sets of proceedings was Mr Boylan's alleged criminality. Mr Ó Floinn said senior gardaí had alleged that Mr Boylan was a supplier of controlled drugs, including heroin, in the Ronanstown area of Clondalkin and that he visited the area on a daily basis to allegedly manage the supply of drugs. "Where did the money come from," Mr Ó Floinn asked. He said "damning evidence" had come from Mr Boylan himself. He said Mr Boylan gave evidence that an unexplained differential in income of around three-quarters of a million euro, was bridged by "gambling" and the sale of “two piebald horses”. CAB on the other hand, had provided a detailed account of how the differential was allegedly bridged by the sale of drugs, and all Mr Boylan had provided was a denial. If the court was satisfied that the purchase of Labaik was financed by the proceeds of crime, Mr Ó Floinn said there could never be a claim for damages. "The only person who has lost out by reason of what happened to the horse is the Minister" in favour of whom an order was sought, he submitted. Ms Justice Carmel Stewart said she would reserve her judgment. She said Labaik’s passport should remain with CAB until she delivered her judgment.